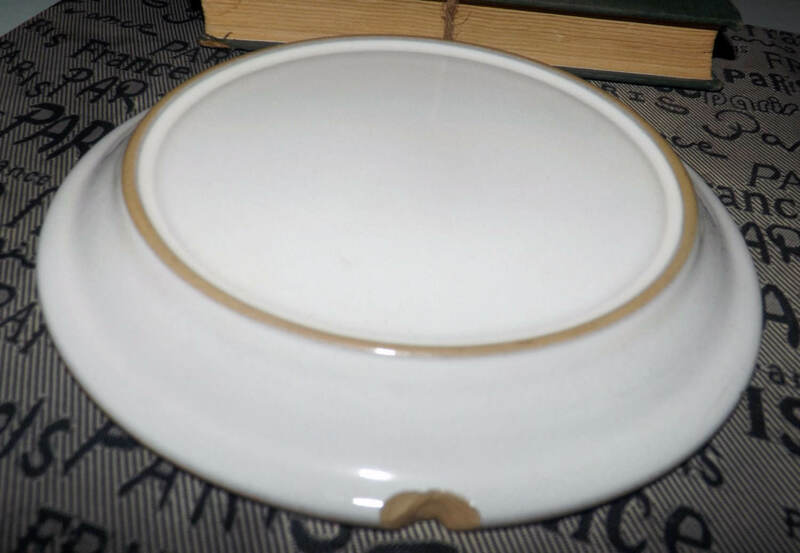 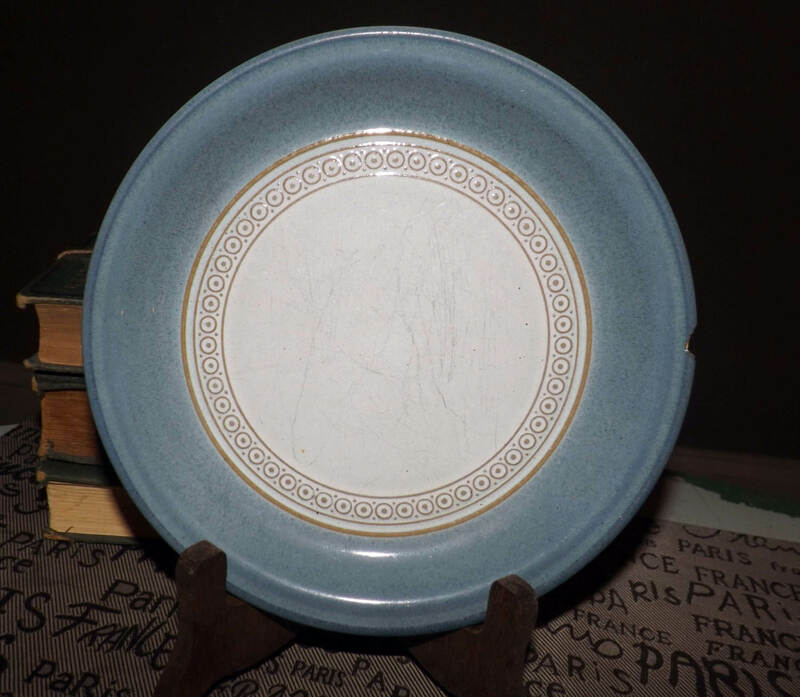 Vintage (mid 1980s) Denby Castile pattern stoneware bread-and-butter or tea plate. 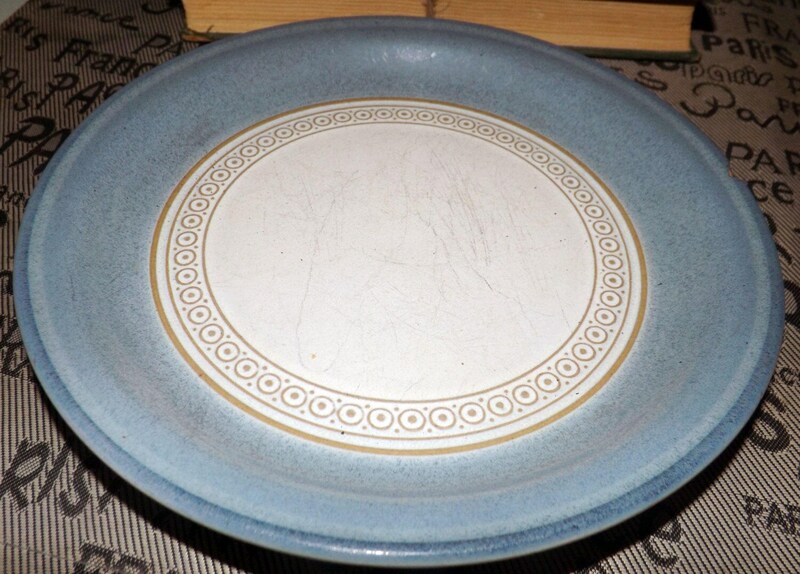 Castile features a broad blue verge with an inset embossed geometric band in a tan color and a white center. 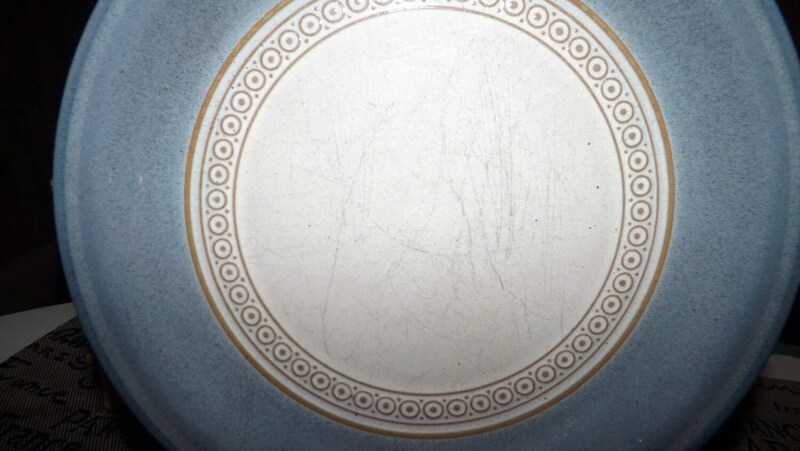 In FAIR condition presenting with several utensil marks to the white center and a significant chip to the edge (please see photo 5). 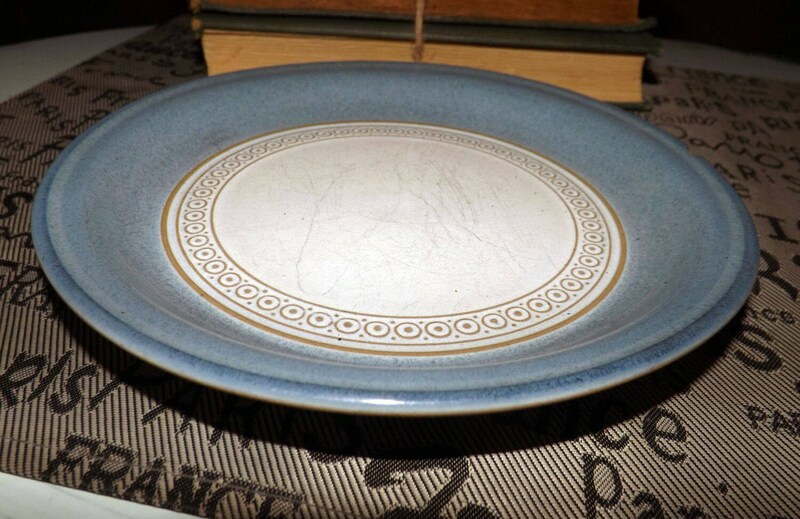 Good as an extra plate for your existing Denby Castile service.